In many instances people schedule a vacation and then have their plans and more importantly money wasted simply because of rain or snow. Spending money to stay in a hotel and then being confined to that boring environment because of adverse weather is truly one of the most frustrating things. This island is perhaps the only place that provides you money if there is adverse weather. With an average of 2,800 hours of sunshine each year there is almost a guarantee that you will experience sunny weather. If you have more than four hours of rain per day then the price of your stay is dramatically reduced. If there is snow then your stay is completely free. This is an absolute blessing because it ensures you will not be ripped off because of weather. Hvar town offers a view of hundreds of boats from the harbor, but right next to that harbor there is the largest piazza in Dalmatia (“Stephen’s Square”). The main attraction that makes you pullout your camera is the St. Stephen’s Cathedral, which was built in the 16th and 17th centuries. Stephen’s square also presents magnificent sights, such as the reinsurance style clock tower,the loggia, the fortress built around 1579, and the 1st theatre in Europe. Lastly Havar town contains the “Franciscan monastery” that is home to one of the most detailed depictions of the “last supper” as well as the 16th century fortress (Fortica/Spanjola) that contains a walk through tour and a gift shop at the end. The sight seeing definitely does not stop at Hvar town. 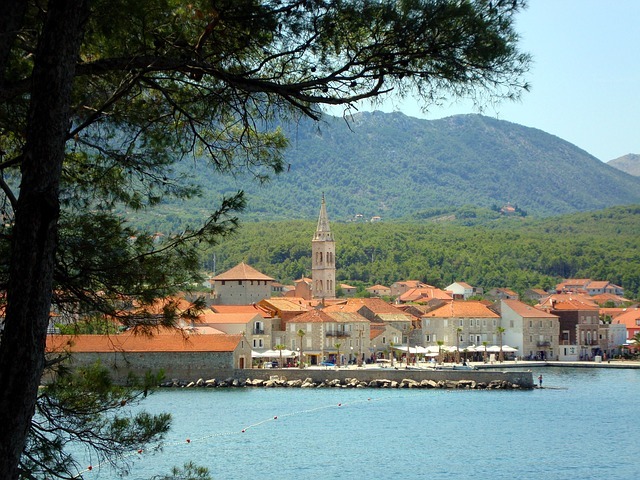 Stari Grad is home to the “vrdaji,” which is considered to be one the most popular places because of its fish pond and rich history. It was originally a home to writer Petar Hektorovic, but it later became a place for travelers to stay. The other attraction that is a must see is the “Church of St John,” which has parts of it that identify with the 6th century. This church contains pieces of Greek culture because it lies on the Greek city that was once known as Pharos. The other place to visit is Jelsa. Jelsa is home to a church that is deemed as being one of the most intact ancient churches. It contains pieces that date back to the 15th century.